Приветствую всех пользователей нашего инвестиционного блога. Представляю вам проект с 4-х летним стажем работы — SolidTradeBank (официальный сайт проекта). На моем веку — это первый проект, который работает такой длительный срок. Вдумайтесь только с 2013 года. Одним словом весьма большая редкость такие проекты. Если быть точнее то, проект работает 4,5 года — это просто невероятно. Конечно, скажите вы — 10% в месяц можно работать долго но, скажите мне, какой вы еще видели или знаете проект, который столько отработал. Это рекорд уже, а сколько актив еще будет работать? Почему и как ? — вот главный вопрос. Слежу за проектом уже около года и все никак не решалась зайти в него. И вот, сегодня 25 преля 2018 года я сделала в него депозит $200. Мы привыкли, что 0,50% в сутки — это ни о чем, а умножьте это «ни о чем» на 4 года. Посмотрите сколько методов платежей в проекте — что ни назовете — все есть). Проект стартовал еще тогда, когда была жива платежка егопей — я помню то время, на этой платежке у меня соскамилось 3 доллара)). Платежка канула в лету, а проект работает. Как вы поняли, план тут один 0.50% в сутки. Солид Банк Торговли сегодня непрерывно растущих финансовых лицом, которое содержит ряд нефинансовых дочерних компаний, которые позволяют головной компании развиваться с каждым днем ​​и удержать позицию передний край в приоритетных областях нашего бизнеса. Солид Банк торговли является финансовым учреждением с долгой историей. Как и другие банки с традиционными принципами наша компания стремится извлечь максимум из возможностей, в то время как у нас есть операционные активы наших клиентов.Фонд солидного банка торговли заключается в том плане, что теперь стало нашей отличительной особенностью. Это кросс-страховой механизм, который позволяет всем нашим клиентам защитили свои средства, даже если мир разваливается. The amount of 500 USD has been withdrawn from your account. Accounts: U133****->U4178235. Memo: Shopping Cart Payment. Deposit to solidtradebank User SleduiZaMnoicom.. Date: 17:11 07.08.18. Batch: 223873474. The amount of 300 USD has been withdrawn from your account. Accounts: U133****->U4178235. Memo: Shopping Cart Payment. Deposit to solidtradebank. User SleduiZaMnoicom. Date: 08:22 27.06.18. Batch: 219105419. The amount of 200 USD has been withdrawn from your account. Accounts: U133****->U4178235. Memo: Shopping Cart Payment. Deposit to solidtradebank.com User SleduiZaMnoicom.. Date: 18:04 25.04.18. Batch: 212567556. The amount of 20 USD has been deposited to your account. Accounts: U4178235->U133. Memo: API Payment. Withdraw to SleduiZaMnoicom from solidtradebank… Date: 23:11 17.04.19. Batch: 256328760. Выплата:The amount of 2 USD has been deposited to your account. Accounts: U4178235->U6518888. Memo: API Payment. Withdraw to Nika288 from solidtradebank. Date: 21:13 15.04.19. Batch: 254648683. The amount of 5 USD has been deposited to your account. Accounts: U4178235->U133****. Memo: API Payment. Withdraw to SleduiZaMnoicom from solidtradebank… Date: 11:53 14.04.19. Batch: 255761084. The amount of 20 USD has been deposited to your account. Accounts: U4178235->U133 Memo: API Payment. Withdraw to SleduiZaMnoicom from solidtradebank… Date: 20:27 10.04.19. Batch: 255249925. The amount of 20 USD has been deposited to your account. Accounts: U4178235->U133. Memo: API Payment. Withdraw to SleduiZaMnoicom from solidtradebank… Date: 20:09 03.04.19. Batch: 254224374. The amount of 20 USD has been deposited to your account. Accounts: U4178235->U133****. Memo: API Payment. Withdraw to SleduiZaMnoicom from solidtradebank… Date: 09:21 22.03.19. Batch: 252101959. The amount of 20 USD has been deposited to your account. Accounts: U4178235->U133. Memo: API Payment. Withdraw to SleduiZaMnoicom from solidtradebank… Date: 21:02 13.03.19. Batch: 250670142. Выплата:The amount of 1 USD has been deposited to your account. Accounts: U4178235->U6518888. Memo: API Payment. Withdraw to Nika288 from solidtradebank. Date: 22:32 11.03.19. Batch: 250335590. The amount of 20 USD has been deposited to your account. Accounts: U4178235->U133. Memo: API Payment. Withdraw to SleduiZaMnoicom from solidtradebank… Date: 18:50 06.03.19. Batch: 249619247. Выплата:The amount of 4 USD has been deposited to your account. Accounts: U4178235->U6518888. Memo: API Payment. Withdraw to Nika288 from solidtradebank… Date: 20:16 01.03.19. Batch: 248911139. The amount of 20 USD has been deposited to your account. Accounts: U4178235->U133. Memo: API Payment. Withdraw to SleduiZaMnoicom from solidtradebank… Date: 18:43 27.02.19. Batch: 248253725. The amount of 20 USD has been deposited to your account. Accounts: U4178235->U133****. Memo: API Payment. Withdraw to SleduiZaMnoicom from solidtradebank… Date: 20:22 20.02.19. Batch: 247313403. The amount of 20 USD has been deposited to your account. Accounts: U4178235->U1339252. Memo: API Payment. Withdraw to SleduiZaMnoicom from solidtradebank… Date: 19:40 13.02.19. Batch: 246421687. Выплата:The amount of 2 USD has been deposited to your account. Accounts: U4178235->U6518888. Memo: API Payment. Withdraw to Nika288 from solidtradebank. Date: 19:12 11.02.19. Batch: 246149674. Выплата:The amount of 3 USD has been deposited to your account. Accounts: U4178235->U15067888. Memo: API Payment. Withdraw to Voronina from solidtradebank. Date: 18:59 10.02.19. Batch: 246032744. Выплата:The amount of 2 USD has been deposited to your account. Accounts: U4178235->U6518888. Memo: API Payment. Withdraw to Nika288 from solidtradebank. Date: 20:00 07.02.19. Batch: 245713403. The amount of 20 USD has been deposited to your account. Accounts: U4178235->U133. Memo: API Payment. Withdraw to SleduiZaMnoicom from solidtradebank.. Date: 19:13 06.02.19. Batch: 245597495. Выплата:The amount of 2 USD has been deposited to your account. Accounts: U4178235->U6518888. Memo: API Payment. Withdraw to Nika288 from solidtradebank. Date: 16:01 05.02.19. Batch: 245457030. The amount of 3 USD has been deposited to your account. Accounts: U15333567->U133 Memo: API Payment. CaribbeanDream.. Date: 17:48 31.01.19. Batch: 244579788. The amount of 2 USD has been deposited to your account. Accounts: U4178235->U133. Memo: API Payment. Withdraw to SleduiZaMnoicom from solidtradebank… Date: 19:26 30.01.19. Batch: 244472808. Выплата и реинвест с баланса:The amount of 1 USD has been deposited to your account. Accounts: U4178235->U6518888. Memo: API Payment. Withdraw to Nika288 from solidtradebank. Date: 19:25 30.01.19. Batch: 244472798. The amount of 4 USD has been deposited to your account. Accounts: U4178235->U133. Memo: API Payment. Withdraw to SleduiZaMnoicom from solidtradebank… Date: 17:17 29.01.19. Batch: 244340630. The amount of 2 USD has been deposited to your account. Accounts: U4178235->U133. Memo: API Payment. Withdraw to SleduiZaMnoicom from solidtradebank… Date: 08:12 25.01.19. Batch: 243861774. Выплата:The amount of 1 USD has been deposited to your account. Accounts: U4178235->U6518888. Memo: API Payment. Withdraw to Nika288 from solidtradebank. Date: 17:57 23.01.19. Batch: 243703311. The amount of 4 USD has been deposited to your account. Accounts: U4178235->U133****. Memo: API Payment. Withdraw to SleduiZaMnoicom from solidtradebank… Date: 16:40 23.01.19. Batch: 243695880. The amount of 2 USD has been deposited to your account. Accounts: U4178235->U133. Memo: API Payment. Withdraw to SleduiZaMnoicom from solidtradebank… Date: 11:29 22.01.19. Batch: 243538089. The amount of 2 USD has been deposited to your account. Accounts: U4178235->U133****. Memo: API Payment. Withdraw to SleduiZaMnoicom from solidtradebank… Date: 17:19 18.01.19. Batch: 243164690. The amount of 2.12 USD has been deposited to your account. Accounts: U4178235->U133****. Memo: API Payment. Withdraw to SleduiZaMnoicom from solidtradebank… Date: 17:19 18.01.19. Batch: 243164780. The amount of 2 USD has been deposited to your account. Accounts: U4178235->U133****. Memo: API Payment. Withdraw to SleduiZaMnoicom from solidtradebank… Date: 05:12 17.01.19. Batch: 242994691. Выплата:The amount of 1 USD has been deposited to your account. Accounts: U4178235->U15067888. Memo: API Payment. 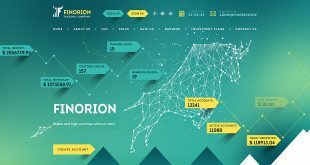 Withdraw to Voronina from solidtradebank… Date: 04:00 16.01.19. Batch: 242878400. The amount of 2 USD has been deposited to your account. Accounts: U4178235->U133**** Memo: API Payment. Withdraw to SleduiZaMnoicom from solidtradebank… Date: 04:00 16.01.19. Batch: 242878382. Выплата:The amount of 2 USD has been deposited to your account. Accounts: U4178235->U6518888. Memo: API Payment. Withdraw to Nika288 from solidtradebank. Date: 21:43 13.01.19. Batch: 242634831. The amount of 4 USD has been deposited to your account. Accounts: U4178235->U133****. Memo: API Payment. Withdraw to SleduiZaMnoicom from solidtradebank… Date: 16:41 12.01.19. Batch: 242521980.
he amount of 1 USD has been deposited to your account. Accounts: U4178235->U6518888. Memo: API Payment. Withdraw to Nika288 from solidtradebank.. Date: 19:35 10.01.19. Batch: 242332862. The amount of 2 USD has been deposited to your account. Accounts: U4178235->U133****. Memo: API Payment. Withdraw to SleduiZaMnoicom from solidtradebank… Date: 21:09 09.01.19. Batch: 242229085. The amount of 2 USD has been deposited to your account. Accounts: U4178235->U133****. Memo: API Payment. Withdraw to SleduiZaMnoicom from solidtradebank… Date: 18:41 08.01.19. Batch: 242104690. The amount of 2 USD has been deposited to your account. Accounts: U4178235->U133**** Memo: API Payment. Withdraw to SleduiZaMnoicom from solidtradebank.. Date: 22:10 07.01.19. Batch: 242008411. The amount of 2 USD has been deposited to your account. Accounts: U4178235->U133****. Memo: API Payment. Withdraw to SleduiZaMnoicom from solidtradebank.. Date: 17:53 06.01.19. Batch: 241889642. The amount of 2 USD has been deposited to your account. Accounts: U4178235->U133****Memo: API Payment. Withdraw to SleduiZaMnoicom from solidtradebank… Date: 18:50 02.01.19. Batch: 241529685. The amount of 2 USD has been deposited to your account. Accounts: U4178235->U133**** Memo: API Payment. Withdraw to SleduiZaMnoicom from solidtradebank… Date: 18:49 02.01.19. Batch: 241529593. The amount of 2 USD has been deposited to your account. Accounts: U4178235->U133****. Memo: API Payment. Withdraw to SleduiZaMnoicom from solidtradebank… Date: 18:51 31.12.18. Batch: 241047231. The amount of 4 USD has been deposited to your account. Accounts: U4178235->U133****. Memo: API Payment. Withdraw to SleduiZaMnoicom from solidtradebank… Date: 17:20 28.12.18. Batch: 240833224. The amount of 8 USD has been deposited to your account. Accounts: U4178235->U133****. Memo: API Payment. Withdraw to SleduiZaMnoicom from solidtradebank… Date: 21:20 26.12.18. Batch: 240679206. The amount of 4.5 USD has been deposited to your account. Accounts: U4178235->U133****. Memo: API Payment. Withdraw to SleduiZaMnoicom from solidtradebank… Date: 18:28 25.12.18. Batch: 240581563. The amount of 2 USD has been deposited to your account. Accounts: U4178235->U133****. Memo: API Payment. Withdraw to SleduiZaMnoicom from solidtradebank… Date: 20:38 21.12.18. Batch: 240257965. Депозит:The amount of 500 USD has been withdrawn from your account. Accounts: U6518888->U4178235. Memo: Shopping Cart Payment. Deposit to solidtradebank User Nika288.. Date: 18:15 24.12.18. Batch: 240499085. The amount of 2 USD has been deposited to your account. Accounts: U4178235->U133****. Memo: API Payment. Withdraw to SleduiZaMnoicom from solidtradebank… Date: 20:17 20.12.18. Batch: 240162277. Выплата:The amount of 0.44 USD has been deposited to your account. Accounts: U4178235->U6518888. Memo: API Payment. Withdraw to Nika288 from solidtradebank.. Date: 18:53 20.12.18. Batch: 240060561. The amount of 2 USD has been deposited to your account. Accounts: U4178235->U133****. Memo: API Payment. Withdraw to SleduiZaMnoicom from solidtradebank… Date: 18:53 19.12.18. Batch: 240060546. The amount of 2 USD has been deposited to your account. Accounts: U4178235->U1339252. Memo: API Payment. Withdraw to SleduiZaMnoicom from solidtradebank.com.. Date: 16:40 18.12.18. Batch: 239945161. The amount of 4 USD has been deposited to your account. Accounts: U4178235->U133****. Memo: API Payment. Withdraw to SleduiZaMnoicom from Solidtradebank… Date: 11:25 15.12.18. Batch: 239628122. The amount of 2.13 USD has been deposited to your account. Accounts: U4178235->U133. Memo: API Payment. Withdraw to SleduiZaMnoicom from solidtradebank… Date: 17:42 13.12.18. Batch: 239477731. The amount of 2 USD has been deposited to your account. Accounts: U4178235->U133****. Memo: API Payment. Withdraw to SleduiZaMnoicom from solidtradebank.. Date: 18:51 12.12.18. Batch: 239385042. The amount of 2 USD has been deposited to your account. Accounts: U4178235->U133****. Memo: API Payment. Withdraw to SleduiZaMnoicom from solidtradebank… Date: 06:23 11.12.18. Batch: 239201596. The amount of 2 USD has been deposited to your account. Accounts: U4178235->U133****. Memo: API Payment. Withdraw to SleduiZaMnoicom from solidtradebank.. Date: 14:57 08.12.18. Batch: 238947576. The amount of 2 USD has been deposited to your account. Accounts: U4178235->U133****. Memo: API Payment. Withdraw to SleduiZaMnoicom from solidtradebank… Date: 07:25 07.12.18. Batch: 238808489. The amount of 2 USD has been deposited to your account. Accounts: U4178235->U133****. Memo: API Payment. Withdraw to SleduiZaMnoicom from solidtradebank… Date: 09:08 06.12.18. Batch: 238712961. The amount of 2 USD has been deposited to your account. Accounts: U4178235->U133****. Memo: API Payment. Withdraw to SleduiZaMnoicom from solidtradebank… Date: 02:12 04.12.18. Batch: 238465713. The amount of 2 USD has been deposited to your account. Accounts: U4178235->U133****. Memo: API Payment. Withdraw to SleduiZaMnoicom from solidtradebank… Date: 20:34 01.12.18. Batch: 238248539. The amount of 2 USD has been deposited to your account. Accounts: U4178235->U133****. Memo: API Payment. Withdraw to SleduiZaMnoicom from solidtradebank… Date: 14:40 30.11.18. Batch: 237783837. The amount of 2 USD has been deposited to your account. Accounts: U4178235->U1339252. Memo: API Payment. Withdraw to SleduiZaMnoicom from solidtradebank.. Date: 18:26 29.11.18. Batch: 237704729. The amount of 2 USD has been deposited to your account. Accounts: U4178235->U133****. Memo: API Payment. Withdraw to SleduiZaMnoicom from solidtradebank… Date: 17:35 28.11.18. Batch: 237590758. The amount of 2 USD has been deposited to your account. Accounts: U4178235->U133****. Memo: API Payment. Withdraw to SleduiZaMnoicom from solidtradebank… Date: 20:04 26.11.18. Batch: 237377484. The amount of 3.5 USD has been deposited to your account. Accounts: U4178235->U133*****. Memo: API Payment. Withdraw to SleduiZaMnoicom from solidtradebank.. Date: 21:10 26.11.18. Batch: 237381456. The amount of 2 USD has been deposited to your account. Accounts: U4178235->U133XXXX. Memo: API Payment. Withdraw to SleduiZaMnoicom from solidtradebank… Date: 22:02 25.11.18. Batch: 237270191. $3.66 has been successfully sent to your PerfectMoney account U133XXXX. The amount of 2 USD has been deposited to your account. Accounts: U4178235->U133****. Memo: API Payment. Withdraw to SleduiZaMnoicom from solidtradebank… Date: 19:54 22.11.18. Batch: 236951366. The amount of 9.5 USD has been deposited to your account. Accounts: U4178235->U133XXXX. Memo: API Payment. Withdraw to SleduiZaMnoicom from solidtradebank… Date: 19:50 20.11.18. Batch: 236704579. The amount of 5 USD has been deposited to your account. Accounts: U4178235->U133****. Memo: API Payment. Withdraw to SleduiZaMnoicom from solidtradebank… Date: 19:36 19.11.18. Batch: 236574759. The amount of 2.5 USD has been deposited to your account. Accounts: U4178235->U133****. Memo: API Payment. Withdraw to SleduiZaMnoicom from solidtradebank… Date: 16:42 17.11.18. Batch: 236327394. The amount of 5 USD has been deposited to your account. Accounts: U4178235->U133****. Memo: API Payment. Withdraw to SleduiZaMnoicom from solidtradebank… Date: 19:30 15.11.18. Batch: 236121234. The amount of 5.01 USD has been deposited to your account. Accounts: U4178235->U133****. Memo: API Payment. Withdraw to SleduiZaMnoicom from solidtradebank.. Date: 21:15 14.11.18. Batch: 236007163. The amount of 5 USD has been deposited to your account. Accounts: U4178235->U133****. Memo: API Payment. Withdraw to SleduiZaMnoicom from solidtradebank… Date: 17:37 13.11.18. Batch: 235866370. Выплата solidtradebank: The amount of 0.75 USD has been deposited to your account. Accounts: U4178235->U981****. Memo: API Payment. Withdraw to investingnp from solidtradebank com.. Date: 17:38 13.11.18. Batch: 235866579. Выплата solidtradebank: The amount of 0.75 USD has been deposited to your account. Accounts: U4178235->U981****. Memo: API Payment. Withdraw to investingnp from solidtradebank com.. Date: 18:08 12.11.18. Batch: 235741564. The amount of 2.5 USD has been deposited to your account. Accounts: U4178235->U133****. Memo: API Payment. Withdraw to SleduiZaMnoicom from solidtradebank… Date: 20:52 12.11.18. Batch: 235756443. Выплата:The amount of 2.19 USD has been deposited to your account. Accounts: U4178235->U6518888. Memo: API Payment. Withdraw to Nika288 from solidtradebank. Date: 16:59 12.11.18. Batch: 235605886. The amount of 7 USD has been deposited to your account. Accounts: U4178235->U133****. Memo: API Payment. Withdraw to SleduiZaMnoicom from solidtradebank… Date: 13:42 10.11.18. Batch: 235488307. The amount of 5 USD has been deposited to your account. Accounts: U4178235->U133****. Memo: API Payment. Withdraw to SleduiZaMnoicom from solidtradebank… Date: 12:00 09.11.18. Batch: 235365850. Выплата solidtradebank: The amount of 0.75 USD has been deposited to your account. Accounts: U4178235->U981****. Memo: API Payment. Withdraw to investingnp from solidtradebank com.. Date: 12:00 09.11.18. Batch: 235365838. The amount of 5.13 USD has been deposited to your account. Accounts: U4178235->U133****. Memo: API Payment. Withdraw to SleduiZaMnoicom from solidtradebank… Date: 09:00 08.11.18. Batch: 235227191. Выплата solidtradebank: The amount of 0.75 USD has been deposited to your account. Accounts: U4178235->U981****. Memo: API Payment. Withdraw to investingnp from solidtradebank com.. Date: 09:00 08.11.18. Batch: 235227183. Выплата:The amount of 1.18 USD has been deposited to your account. Accounts: U4178235->U6518888. Memo: API Payment. Withdraw to Nika288 from solidtradebank. Date: 08:59 08.11.18. Batch: 235227128. Выплата solidtradebank: The amount of 0.75 USD has been deposited to your account. Accounts: U4178235->U981****. Memo: API Payment. Withdraw to investingnp from solidtradebank com.. Date: 12:57 07.11.18. Batch: 235131213. Выплата solidtradebank: The amount of 0.75 USD has been deposited to your account. Accounts: U4178235->U981****. Memo: API Payment. Withdraw to investingnp from solidtradebank com.. Date: 14:44 06.11.18. Batch: 235013020. The amount of 2.5 USD has been deposited to your account. Accounts: U4178235->U133****. Memo: API Payment. Withdraw to SleduiZaMnoicom from solidtradebank… Date: 15:36 06.11.18. Batch: 235020724. The amount of 8.75 USD has been deposited to your account. Accounts: U4178235->U133****. Memo: API Payment. Withdraw to SleduiZaMnoicom from solidtradebank… Date: 18:41 05.11.18. Batch: 234913387. The amount of 2.50 USD has been deposited to your account. Accounts: U4178235->U133XXXX. Memo: API Payment. Withdraw to SleduiZaMnoicom from solidtradebank… Date: 15:20 03.11.18. Batch: 234676797. Выплата:The amount of 1 USD has been deposited to your account. Accounts: U4178235->U6518888. Memo: API Payment. Withdraw to Nika288 from solidtradebank. Date: 15:20 03.11.18. Batch: 234676846. The amount of 2.5 USD has been deposited to your account. Accounts: U4178235->U133XXXX. Memo: API Payment. Withdraw to SleduiZaMnoicom from solidtradebank… Date: 19:25 02.11.18. Batch: 234597785. Выплата solidtradebank: The amount of 0.75 USD has been deposited to your account. Accounts: U4178235->U981****. Memo: API Payment. Withdraw to investingnp from solidtradebank com.. Date: 19:24 02.11.18. Batch: 234597632. Выплата solidtradebank: The amount of 0.75 USD has been deposited to your account. Accounts: U4178235->U981****. Memo: API Payment. Withdraw to investingnp from solidtradebank com.. Date: 08:57 01.11.18. Batch: 234286308. The amount of 6.5 USD has been deposited to your account. Accounts: U4178235->U133XXXX. Memo: API Payment. Withdraw to SleduiZaMnoicom from solidtradebank… Date: 08:57 01.11.18. Batch: 234285815. Выплата solidtradebank: The amount of 0.75 USD has been deposited to your account. Accounts: U4178235->U981****. Memo: API Payment. Withdraw to investingnp from solidtradebank com.. Date: 18:14 31.10.18. Batch: 234034449. 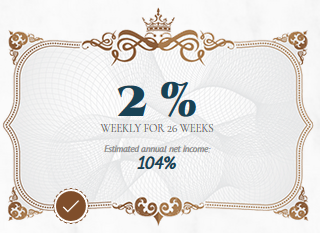 Выплата solidtradebank: The amount of 0.75 USD has been deposited to your account. Accounts: U4178235->U981****. Memo: API Payment. Withdraw to investingnp from solidtradebank com.. Date: 11:14 30.10.18. Batch: 233877361. 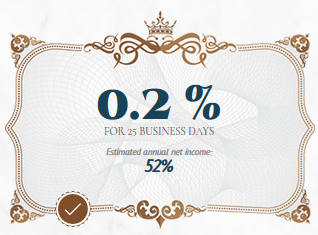 Выплата solidtradebank: The amount of 0.75 USD has been deposited to your account. Accounts: U4178235->U981****. Memo: API Payment. Withdraw to investingnp from solidtradebank com.. Date: 11:11 30.10.18. Batch: 233876787. 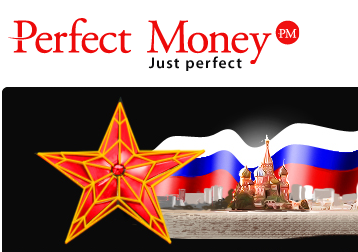 $ 1,50 был успешно отправлен на ваш Perfectmoney счета U4108845. The amount of 4 USD has been deposited to your account. Accounts: U4178235->U13**** Memo: API Payment. Withdraw to RomaJe from solidtradebank.com.. Date: 11:11 30.10.18. Batch: 233876821. Выплата:The amount of 1.56 USD has been deposited to your account. Accounts: U4178235->U651888. Memo: API Payment. Withdraw to Nika288 from solidtradebank.. Date: 00:04 26.10.18. Batch: 233431021. The amount of 5.92 USD has been deposited to your account. Accounts: U4178235->U133****. Memo: API Payment. Withdraw to SleduiZaMnoicom from solidtradebank… Date: 18:39 26.10.18. Batch: 233516670. Выплата solidtradebank: The amount of 0.75 USD has been deposited to your account. Accounts: U4178235->U981****. Memo: API Payment. Withdraw to investingnp from solidtradebank com.. Date: 18:42 26.10.18. Batch: 233516915. Выплата solidtradebank: The amount of 0.75 USD has been deposited to your account. Accounts: U4178235->U981****. Memo: API Payment. Withdraw to investingnp from solidtradebank com.. Date: 00:04 26.10.18. Batch: 233430913. The amount of 4.38 USD has been deposited to your account. Accounts: U4178235->U1339252. Memo: API Payment. Withdraw to SleduiZaMnoicom from solidtradebank… Date: 00:03 26.10.18. Batch: 233430869. Выплата:The amount of 1.71 USD has been deposited to your account. Accounts: U4178235->U651888. Memo: API Payment. Withdraw to EvgenyV from solidtradebank. Date: 17:00 24.10.18. Batch: 233283676. The amount of 2.50 USD has been deposited to your account. Accounts: U4178235->U133****. Memo: API Payment. Withdraw to SleduiZaMnoicom from solidtradebank… Date: 16:59 24.10.18. Batch: 233283468. Выплата solidtradebank: The amount of 0.75 USD has been deposited to your account. Accounts: U4178235->U981****. Memo: API Payment. Withdraw to investingnp from solidtradebank com.. Date: 16:59 24.10.18. Batch: 233283442. Выплата solidtradebank:The amount of 0.75 USD has been deposited to your account. Accounts: U4178235->U981****. Memo: API Payment. Withdraw to investingnp from solidtradebank com.. Date: 10:51 23.10.18. Batch: 233115143. The amount of 2.78 USD has been deposited to your account. Accounts: U4178235->U133****. Memo: API Payment. Withdraw to SleduiZaMnoicom from solidtradebank.com.. Date: 10:51 23.10.18. Batch: 233115123. Выплата solidtradebank: The amount of 0.75 USD has been deposited to your account. Accounts: U4178235->U981****. Memo: API Payment. Withdraw to investingnp from solidtradebank com.. Date: 08:51 22.10.18. Batch: 232979733. The amount of 5 USD has been deposited to your account. Accounts: U4178235->U133****. Memo: API Payment. Withdraw to SleduiZaMnoicom from solidtradebank… Date: 09:46 22.10.18. Batch: 232986189. Выплата solidtradebank: The amount of 0.75 USD has been deposited to your account. Accounts: U4178235->U981****. Memo: API Payment. Withdraw to investingnp from solidtradebank com.. Date: 04:19 20.10.18. Batch: 232762846. The amount of 4.13 USD has been deposited to your account. Accounts: U4178235->U133****. Memo: API Payment. Withdraw to SleduiZaMnoicom from solidtradebank… Date: 04:19 20.10.18. Batch: 232762840. Выплата solidtradebank: The amount of 1.5 USD has been deposited to your account. Accounts: U4178235->U981****. Memo: API Payment. Withdraw to investingnp from solidtradebank com.. Date: 21:53 18.10.18. Batch: 232636156. Выплата solidtradebank: The amount of 0.75 USD has been deposited to your account. Accounts: U4178235->U981****. Memo: API Payment. Withdraw to investingnp from solidtradebank com.. Date: 21:51 18.10.18. Batch: 232635855. The amount of 2,5 USD has been deposited to your account. Accounts: U4178235->U1339252. Memo: API Payment. Withdraw to SleduiZaMnoicom from solidtradebank… Date: 21:52 18.10.18. Batch: 232635988. The amount of 5 USD has been deposited to your account. Accounts: U4178235->U1339252. Memo: API Payment. Withdraw to SleduiZaMnoicom from solidtradebank… Date: 21:52 18.10.18. Batch: 232635988. $7.50 has been successfully sent to your Perfectmoney account U133****. Выплата:The amount of 2 USD has been deposited to your account. Accounts: U4178235->U651888. Memo: API Payment. Withdraw to Nika288 from solidtradebank.. Date: 07:12 17.10.18. Batch: 232427414. The amount of 2.50 USD has been deposited to your account. Accounts: U4178235->U133****. Memo: API Payment. Withdraw to SleduiZaMnoicom from solidtradebank… Date: 01:56 16.10.18. Batch: 232284255. Депозит solidtradebank:The amount of 150 USD has been withdrawn from your account. Accounts: U981****->U4178235. Memo: Shopping Cart Payment. Deposit to solidtradebank com User investingnp.. Date: 05:19 15.10.18. Batch: 232170106. Выплата solidtradebank: The amount of 100.5 USD has been deposited to your account. Accounts: U4178235->U981****. Memo: API Payment. Withdraw to investingnp from solidtradebank com.. Date: 02:05 15.10.18. Batch: 232162741. Выплата:The amount of 1.51 USD has been deposited to your account. Accounts: U4178235->U6518888. Memo: API Payment. Withdraw to Voronina from solidtradebank.. Date: 02:05 15.10.18. Batch: 232162719. Выплата solidtradebank: The amount of 1 USD has been deposited to your account. Accounts: U4178235->U981****. Memo: API Payment. Withdraw to investingnp from solidtradebank com.. Date: 21:26 11.10.18. Batch: 231842649. The amount of 2.50 USD has been deposited to your account. Accounts: U4178235->U133****. Memo: API Payment. Withdraw to SleduiZaMnoicom from solidtradebank… Date: 17:51 12.10.18. Batch: 231946296. The amount of 8.25 USD has been deposited to your account. Accounts: U4178235->U133****. Memo: API Payment. Withdraw to SleduiZaMnoicom from solidtradebank… Date: 21:03 10.10.18. Batch: 231719543. Выплата solidtradebank: The amount of 1 USD has been deposited to your account. Accounts: U4178235->U981****. Memo: API Payment. Withdraw to investingnp from solidtradebank com.. Date: 16:16 09.10.18. Batch: 231553692. The amount of 2.28 USD has been deposited to your account. Accounts: U4178235->U133****. Memo: API Payment. Withdraw to SleduiZaMnoicom from solidtradebank… Date: 23:09 08.10.18. Batch: 231464371. The amount of 2 USD has been deposited to your account. Accounts: U4178235->U13****» Memo: API Payment. Withdraw to RomaJe from solidtradebank.com.. Date: 23:14 08.10.18. Batch: 231464741. Выплата solidtradebank: The amount of 1 USD has been deposited to your account. Accounts: U4178235->U981****. Memo: API Payment. Withdraw to investingnp from solidtradebank com.. Date: 21:04 05.10.18. Batch: 231124971. The amount of 3.5 USD has been deposited to your account. Accounts: U4178235->U133****. Memo: API Payment. Withdraw to SleduiZaMnoicom from solidtradebank… Date: 21:04 05.10.18. Batch: 231125055. The amount of 3.5 USD has been deposited to your account. Accounts: U4178235->U133****. Memo: API Payment. 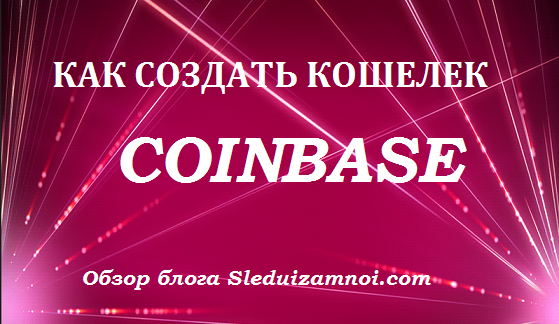 Withdraw to SleduiZaMnoicom from solidtradebank… Date: 19:20 04.10.18. Batch: 230995125. Выплата solidtradebank: The amount of 1 USD has been deposited to your account. Accounts: U4178235->U981****. Memo: API Payment. Withdraw to investingnp from solidtradebank com.. Date: 14:54 03.10.18. Batch: 230845458. The amount of 3.7 USD has been deposited to your account. Accounts: U4178235->U133****. Memo: API Payment. Withdraw to SleduiZaMnoicom from solidtradebank… Date: 14:54 03.10.18. Batch: 230845496. The amount of 2 USD has been deposited to your account. Accounts: U4178235->U133***** Memo: API Payment. Withdraw to RomaJe from solidtradebank.com.. Date: 14:54 03.10.18. Batch: 230845539. Выплата solidtradebank: The amount of 1 USD has been deposited to your account. Accounts: U4178235->U981****. Memo: API Payment. Withdraw to investingnp from solidtradebank com.. Date: 20:20 01.10.18. Batch: 230643610. The amount of 4.36 USD has been deposited to your account. Accounts: U4178235->U133****. Memo: API Payment. Withdraw to SleduiZaMnoicom from solidtradebank… Date: 16:14 02.10.18. Batch: 230736340. The amount of 4.13 USD has been deposited to your account. Accounts: U4178235->U133****. Memo: API Payment. Withdraw to SleduiZaMnoicom from solidtradebank… Date: 14:17 28.09.18. Batch: 229949107. The amount of 2 USD has been deposited to your account. Accounts: U4178235->U13******. Memo: API Payment. Withdraw to RomaJe from solidtradebank.com.. Date: 14:17 28.09.18. Batch: 229949099. Выплата solidtradebank: The amount of 1 USD has been deposited to your account. Accounts: U4178235->U981****. Memo: API Payment. Withdraw to investingnp from solidtradebank com.. Date: 12:04 27.09.18. Batch: 229818973. The amount of 3.5 USD has been deposited to your account. Accounts: U4178235->U133****. Memo: API Payment. Withdraw to SleduiZaMnoicom from solidtradebank… Date: 12:05 27.09.18. Batch: 229819040. The amount of 2 USD has been deposited to your account. Accounts: U4178235->U13****** Memo: API Payment. Withdraw to RomaJe from solidtradebank.com.. Date: 12:05 27.09.18. Batch: 229819092. The amount of 4.5 USD has been deposited to your account. Accounts: U4178235->U1339252. Memo: API Payment. Withdraw to SleduiZaMnoicom from solidtradebank… Date: 18:45 26.09.18. Batch: 229747980. Выплата solidtradebank: The amount of 1 USD has been deposited to your account. Accounts: U4178235->U981****. Memo: API Payment. Withdraw to investingnp from solidtradebank com.. Date: 18:12 25.09.18. Batch: 229626866. The amount of 3.68 USD has been deposited to your account. Accounts: U4178235->U133****. Memo: API Payment. Withdraw to SleduiZaMnoicom from solidtradebank… Date: 16:58 24.09.18. Batch: 229495714. Выплата solidtradebank: The amount of 1 USD has been deposited to your account. Accounts: U4178235->U981****. Memo: API Payment. Withdraw to investingnp from solidtradebank com.. Date: 22:57 21.09.18. Batch: 229211492. The amount of 2.5 USD has been deposited to your account. Accounts: U4178235->U133****. Memo: API Payment. Withdraw to SleduiZaMnoicom from solidtradebank… Date: 22:57 21.09.18. Batch: 229211530. The amount of 3.75 USD has been deposited to your account. Accounts: U4178235->U133****. Memo: API Payment. Withdraw to SleduiZaMnoicom from solidtradebank… Date: 18:11 20.09.18. Batch: 229078061. The amount of 2.50 USD has been deposited to your account. Accounts: U4178235->U1339252. Memo: API Payment. Withdraw to SleduiZaMnoicom from solidtradebank.com.. Date: 18:12 20.09.18. Batch: 229078160. Выплата solidtradebank: The amount of 1 USD has been deposited to your account. Accounts: U4178235->U981****. Memo: API Payment. Withdraw to investingnp from solidtradebank com.. Date: 19:43 19.09.18. Batch: 228967337. Проект четко платит, первый депчик отработал, пускаю обратно на реинвест. 1200 usd. Удачи проекту! РефБэк получен. Благодарю! 20.09.18 12:45	Receive	Received Payment 0.5 USD from account U133**** to account U*******5. Batch: 229042727. Депчик отработал!!! Пускаю на реинвест 1200$, удачи проекту! Received Payment 0.5 USD from account U4178235 to account U7/////// Batch: 228820511. Memo: API Payment. Withdraw to NK from solidtradebank.com. The amount of 4.26 USD has been deposited to your account. Accounts: U4178235->U133****. Memo: API Payment. Withdraw to SleduiZaMnoicom from solidtradebank… Date: 19:43 19.09.18. Batch: 228967367. Выплата solidtradebank: The amount of 1 USD has been deposited to your account. Accounts: U4178235->U981****. Memo: API Payment. Withdraw to investingnp from solidtradebank com.. Date: 23:23 17.09.18. Batch: 228728424. The amount of 2.5 USD has been deposited to your account. Accounts: U4178235->U133****. Memo: API Payment. Withdraw to SleduiZaMnoicom from solidtradebank… Date: 16:40 18.09.18. Batch: 228820471. The amount of 502.5 USD has been deposited to your account. Accounts: U4178235->U133****. Memo: API Payment. Withdraw to SleduiZaMnoicom from solidtradebank… Date: 23:23 17.09.18. Batch: 228728473. The amount of 1.25 USD has been deposited to your account. Accounts: U4178235->U133****. Memo: API Payment. Withdraw to SleduiZaMnoicom from solidtradebank… Date: 18:07 15.09.18. Batch: 228476833. The amount of 3.26 USD has been deposited to your account. Accounts: U4178235->U133****. Memo: API Payment. Withdraw to SleduiZaMnoicom from solidtradebank… Date: 15:10 14.09.18. Batch: 228347615. Выплата solidtradebank: The amount of 1 USD has been deposited to your account. Accounts: U4178235->U981****. Memo: API Payment. Withdraw to investingnp from solidtradebank com.. Date: 19:24 13.09.18. Batch: 228258149. The amount of 2.5 USD has been deposited to your account. Accounts: U4178235->U133****. Memo: API Payment. Withdraw to SleduiZaMnoicom from solidtradebank… Date: 19:24 13.09.18. Batch: 228258048. Dear Margo! I opened the Deposiit. Thanks for your Support. The amount of 1 USD has been deposited to your account. Accounts: U4178235->U13*****. Memo: API Payment. Withdraw to RomaJe from solidtradebank.com.. Date: 16:50 12.09.18. Batch: 228122111. Memo : API Payment. Withdraw from solidtradebank.com. The amount of 2.5 USD has been deposited to your account. Accounts: U4178235->U133****. Memo: API Payment. Withdraw to SleduiZaMnoicom from solidtradebank… Date: 19:09 11.09.18. Batch: 228011879. Выплата solidtradebank: The amount of 1 USD has been deposited to your account. Accounts: U4178235->U981****. Memo: API Payment. Withdraw to investingnp from solidtradebank com.. Date: 19:09 11.09.18. Batch: 228011875. Выплата solidtradebank: The amount of 1 USD has been deposited to your account. Accounts: U4178235->U981****. Memo: API Payment. Withdraw to investingnp from solidtradebank com.. Date: 19:54 07.09.18. Batch: 227570127. The amount of 2.5 USD has been deposited to your account. Accounts: U4178235->U133**** Memo: API Payment. Withdraw to SleduiZaMnoicom from solidtradebank.. Date: 19:54 07.09.18. Batch: 227570164. The amount of 3 USD has been deposited to your account. Accounts: U4178235->U133****. Memo: API Payment. Withdraw to SleduiZaMnoicom from solidtradebank… Date: 15:57 06.09.18. Batch: 227435615. Выплата solidtradebank: The amount of 1 USD has been deposited to your account. Accounts: U4178235->U981****. Memo: API Payment. Withdraw to investingnp from solidtradebank com.. Date: 12:12 05.09.18. Batch: 227288826. The amount of 2.5 USD has been deposited to your account. Accounts: U4178235->U133****. Memo: API Payment. Withdraw to SleduiZaMnoicom from solidtradebank… Date: 12:12 05.09.18. Batch: 227288846. The amount of 5.20 USD has been deposited to your account. Accounts: U4178235->U133****. Memo: API Payment. Withdraw to SleduiZaMnoicom from solidtradebank… Date: 10:43 04.09.18. Batch: 227159711. The amount of 2.5 USD has been deposited to your account. Accounts: U4178235->U133****. Memo: API Payment. Withdraw to SleduiZaMnoicom from solidtradebank… Date: 18:05 31.08.18. Batch: 226468893. Выплата solidtradebank: The amount of 1 USD has been deposited to your account. Accounts: U4178235->U981****. Memo: API Payment. Withdraw to investingnp from solidtradebank com.. Date: 18:05 31.08.18. Batch: 226468859. The amount of 1 USD has been deposited to your account. Accounts: U4178235->U13******. Memo: API Payment. Withdraw to RomaJe from solidtradebank.com.. Date: 18:04 31.08.18. Batch: 226468763. The amount of 5.5 USD has been deposited to your account. Accounts: U4178235->U1339252. Memo: API Payment. Withdraw to SleduiZaMnoicom from solidtradebank… Date: 17:47 30.08.18. Batch: 226358856. The amount of 1 USD has been deposited to your account. Accounts: U4178235->U13*****. Memo: API Payment. Withdraw to RomaJe from solidtradebank.com.. Date: 17:46 30.08.18. Batch: 226358846. The amount of 4.68 USD has been deposited to your account. Accounts: U4178235->U133*****. Memo: API Payment. Withdraw to SleduiZaMnoicom from solidtradebank… Date: 10:35 30.08.18. Batch: 226315350. Выплата solidtradebank: The amount of 1 USD has been deposited to your account. Accounts: U4178235->U981****. Memo: API Payment. Withdraw to investingnp from solidtradebank com.. Date: 15:18 29.08.18. Batch: 226234891. The amount of 1 USD has been deposited to your account. Accounts: U4178235->U13******. Memo: API Payment. Withdraw to RomaJe from solidtradebank.com.. Date: 15:17 29.08.18. Batch: 226234763. Депозит:The amount of 300 USD has been withdrawn from your account. Accounts: U1508888->U4178235. Memo: Shopping Cart Payment. Deposit to solidtradebank User EvgenyV.. Date: 08:26 29.08.18. Batch: 226197119. The amount of 502.5 USD has been deposited to your account. Accounts: U4178235->U1339252. Memo: API Payment. Withdraw to SleduiZaMnoicom from solidtradebank.com.. Date: 05:23 28.08.18. Batch: 226070345. The amount of 500 USD has been withdrawn from your account. Accounts: U1339252->U4178235. Memo: Shopping Cart Payment. Deposit to solidtradebank.com User SleduiZaMnoicom.. Date: 06:34 28.08.18. Batch: 226074218. Выплата solidtradebank: The amount of 1 USD has been deposited to your account. Accounts: U4178235->U981****. Memo: API Payment. Withdraw to investingnp from solidtradebank com.. Date: 05:24 28.08.18. Batch: 226070471. The amount of 1 USD has been deposited to your account. Accounts: U4178235->U13******. Memo: API Payment. Withdraw to RomaJe from solidtradebank.com.. Date: 05:24 28.08.18. Batch: 226070411. The amount of 3 USD has been deposited to your account. Accounts: U4178235->U133****. Memo: API Payment. Withdraw to SleduiZaMnoicom from solidtradebank… Date: 01:39 25.08.18. Batch: 225771172. The amount of 3.25 USD has been deposited to your account. Accounts: U4178235->U133****. Memo: API Payment. Withdraw to SleduiZaMnoicom from solidtradebank… Date: 03:32 25.08.18. Batch: 225774330. Депозит:The amount of 200 USD has been withdrawn from your account. Accounts: U6518888->U4178235. Memo: Shopping Cart Payment. Deposit to solidtradebank User Nika288.. Date: 09:18 24.08.18. Batch: 225691639. Выплата solidtradebank: The amount of 1 USD has been deposited to your account. Accounts: U4178235->U981****. Memo: API Payment. Withdraw to investingnp from solidtradebank com.. Date: 14:08 23.08.18. Batch: 225614420. The amount of 2.5 USD has been deposited to your account. Accounts: U4178235->U133****. Memo: API Payment. Withdraw to SleduiZaMnoicom from solidtradebank… Date: 14:09 23.08.18. Batch: 225614504. The amount of 1 USD has been deposited to your account. Accounts: U4178235->U13******. Memo: API Payment. Withdraw to RomaJe from solidtradebank Date: 14:08 23.08.18. Batch: 225614396. Выплата solidtradebank: The amount of 1 USD has been deposited to your account. Accounts: U4178235->U981****. Memo: API Payment. Withdraw to investingnp from solidtradebank com.. Date: 00:29 22.08.18. Batch: 225458096. The amount of 1 USD has been deposited to your account. Accounts: U4178235->U13***** Memo: API Payment. Withdraw to RomaJe from solidtradebankDate: 17:46 22.08.18. Batch: 225531370. The amount of 1 USD has been deposited to your account. Accounts: U4178235->U13****** Memo: API Payment. Withdraw to RomaJe from solidtradebank Date: 17:46 22.08.18. Batch: 225531418. The amount of 3.25 USD has been deposited to your account. Accounts: U4178235->U133***. Memo: API Payment. 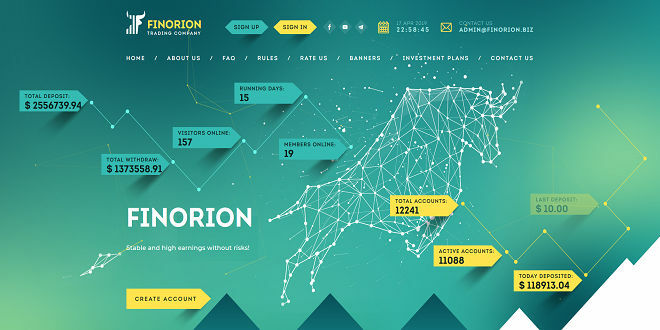 Withdraw to SleduiZaMnoicom from solidtradebank… Date: 00:31 22.08.18. Batch: 225458249. The amount of 2.5 USD has been deposited to your account. Accounts: U4178235->U133****. Memo: API Payment. Withdraw to SleduiZaMnoicom from solidtradebank… Date: 00:27 22.08.18. Batch: 225457991. The amount of 1.13 USD has been deposited to your account. Accounts: U4178235->U133****. Memo: API Payment. Withdraw to SleduiZaMnoicom from solidtradebank… Date: 21:09 19.08.18. Batch: 225225039. 19.08.18 14:16	Transfer	Sent Payment: 300.00 USD to account U4178235 from U13199936. Batch: 225195504. Memo: Shopping Cart Payment. Deposit to solidtradebank.com. The amount of 3 USD has been deposited to your account. Accounts: U4178235->U133****. Memo: API Payment. Withdraw to SleduiZaMnoicom from solidtradebank… Date: 17:41 17.08.18. Batch: 225025932. Выплата solidtradebank: The amount of 1 USD has been deposited to your account. Accounts: U4178235->U981****. Memo: API Payment. Withdraw to investingnp from solidtradebank com.. Date: 17:37 17.08.18. Batch: 225025444. The amount of 1 USD has been deposited to your account. Accounts: U4178235->U13****** Memo: API Payment. Withdraw to RomaJe from solidtradebank.com.. Date: 17:37 17.08.18. Batch: 225025332. Выплата solidtradebank: The amount of 1 USD has been deposited to your account. Accounts: U4178235->U981****. Memo: API Payment. Withdraw to investingnp from solidtradebank com.. Date: 21:59 15.08.18. Batch: 224818200. The amount of 200 USD has been withdrawn from your account. Accounts: U13******->U4178235. Memo: Shopping Cart Payment. Deposit to solidtradebank.com User RomaJe.. Date: 12:27 16.08.18. Batch: 224880031. The amount of 2.5 USD has been deposited to your account. Accounts: U4178235->U133****. Memo: API Payment. Withdraw to SleduiZaMnoicom from solidtradebank… Date: 21:58 15.08.18. Batch: 224818030. The amount of 2.5 USD has been deposited to your account. Accounts: U4178235->U133***. Memo: API Payment. Withdraw to SleduiZaMnoicom from solidtradebank… Date: 20:15 14.08.18. Batch: 224698407. The amount of 2.5 USD has been deposited to your account. Accounts: U4178235->U133****. Memo: API Payment. Withdraw to SleduiZaMnoicom from solidtradebank… Date: 19:52 13.08.18. Batch: 224578071. Выплата solidtradebank: The amount of 1 USD has been deposited to your account. Accounts: U4178235->U981****. Memo: API Payment. Withdraw to investingnp from solidtradebank com.. Date: 16:54 11.08.18. Batch: 224337839.
amount of 2.5 USD has been deposited to your account. Accounts: U4178235->U133****. Memo: API Payment. Withdraw to SleduiZaMnoicom from solidtradebank… Date: 16:54 11.08.18. Batch: 224337816. Выплата: The amount of 1 USD has been deposited to your account. Accounts: U4178235->U981****. Memo: API Payment. Withdraw to investingnp from solidtradebank com.. Date: 22:41 09.08.18. Batch: 224138294. The amount of 2.5 USD has been deposited to your account. Accounts: U4178235->U133****. Memo: API Payment. Withdraw to SleduiZaMnoicom from solidtradebank… Date: 15:28 10.08.18. Batch: 224216165. The amount of 2.5 USD has been deposited to your account. Accounts: U4178235->U133****. Memo: API Payment. Withdraw to SleduiZaMnoicom from solidtradebank.com.. Date: 22:41 09.08.18. Batch: 224138307. Выплата: The amount of 1 USD has been deposited to your account. Accounts: U4178235->U981****. Memo: API Payment. Withdraw to investingnp from solidtradebank com.. Date: 16:51 07.08.18. Batch: 223871133. The amount of 301.5 USD has been deposited to your account. Accounts: U4178235->U133****. Memo: API Payment. Withdraw to SleduiZaMnoicom from solidtradebank… Date: 16:51 07.08.18. Batch: 223870965. The amount of 1.75 USD has been deposited to your account. Accounts: U4178235->U133**** Memo: API Payment. Withdraw to SleduiZaMnoicom from solidtradebank… Date: 22:57 03.08.18. Batch: 223475695. Выплата: The amount of 1 USD has been deposited to your account. Accounts: U4178235->U981****. Memo: API Payment. Withdraw to investingnp from solidtradebank com.. Date: 17:30 03.08.18. Batch: 223448424. The amount of 1.5 USD has been deposited to your account. Accounts: U4178235->U133****. Memo: API Payment. Withdraw to SleduiZaMnoicom from solidtradebank… Date: 20:43 02.08.18. Batch: 223346498. The amount of 1.5 USD has been deposited to your account. Accounts: U4178235->U133****. Memo: API Payment. Withdraw to SleduiZaMnoicom from solidtradebank.. Date: 20:39 01.08.18. Batch: 223221806. Выплата: The amount of 1 USD has been deposited to your account. Accounts: U4178235->U981****. Memo: API Payment. Withdraw to investingnp from solidtradebank com.. Date: 16:29 01.08.18. Batch: 223198536. The amount of 1.5 USD has been deposited to your account. Accounts: U4178235->U133****. Memo: API Payment. Withdraw to SleduiZaMnoicom from solidtradebank.. Date: 20:46 31.07.18. Batch: 222778761. The amount of 1.5 USD has been deposited to your account. Accounts: U4178235->U133****. Memo: API Payment. Withdraw to SleduiZaMnoicom from solidtradebank… Date: 09:44 29.07.18. Batch: 222503097. Выплата: The amount of 1 USD has been deposited to your account. 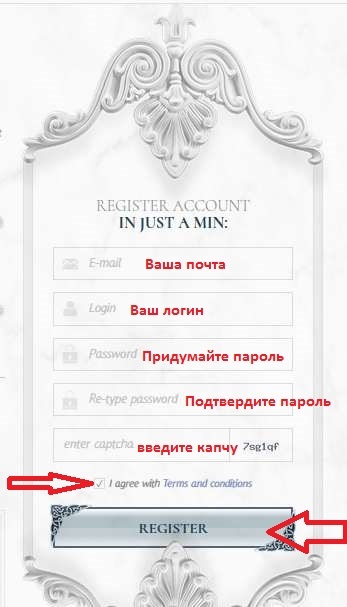 Accounts: U4178235->U981**** Memo: API Payment. Withdraw to investingnp from solidtradebank com.. Date: 09:44 29.07.18. Batch: 222503126. The amount of 1.5 USD has been deposited to your account. Accounts: U4178235->U1339252. Memo: API Payment. Withdraw to SleduiZaMnoicom from solidtradebank… Date: 09:37 27.07.18. Batch: 222317664. Выплата: The amount of 1 USD has been deposited to your account. Accounts: U4178235->U981****. Memo: API Payment. Withdraw to investingnp from solidtradebank com.. Date: 17:43 26.07.18. Batch: 222262868. The amount of 1.5 USD has been deposited to your account. Accounts: U4178235->U133****. Memo: API Payment. Withdraw to SleduiZaMnoicom from solidtradebank.com.. Date: 17:45 26.07.18. Batch: 222263138. The amount of 1.5 USD has been deposited to your account. Accounts: U4178235->U133****. Memo: API Payment. Withdraw to SleduiZaMnoicom from solidtradebank.com.. Date: 17:43 26.07.18. Batch: 222262791. Выплата: The amount of 1 USD has been deposited to your account. Accounts: U4178235->U981****. Memo: API Payment. Withdraw to investingnp from solidtradebank.com.. Date: 23:46 23.07.18. Batch: 221970227. The amount of 1.5 USD has been deposited to your account. Accounts: U4178235->U133**** Memo: API Payment. Withdraw to SleduiZaMnoicom from solidtradebank… Date: 21:57 22.07.18. Batch: 221861729. The amount of 1.5 USD has been deposited to your account. Accounts: U4178235->U133**** Memo: API Payment. Withdraw to SleduiZaMnoicom from solidtradebank… Date: 21:49 20.07.18. Batch: 221704683. Выплата: The amount of 1 USD has been deposited to your account. Accounts: U4178235->U981****. Memo: API Payment. Withdraw to investingnp from solidtradebank com.. Date: 17:54 19.07.18. Batch: 221589004. The amount of 1.5 USD has been deposited to your account. Accounts: U4178235->U133****. Memo: API Payment. Withdraw to SleduiZaMnoicom from solidtradebank.. Date: 17:55 19.07.18. Batch: 221589053. The amount of 1.5 USD has been deposited to your account. Accounts: U4178235->U133****. Memo: API Payment. Withdraw to SleduiZaMnoicom from solidtradebank… Date: 16:32 18.07.18. Batch: 221484768. Выплата: The amount of 1 USD has been deposited to your account. Accounts: U4178235->U981****. Memo: API Payment. Withdraw to investingnp from solidtradebank com.. Date: 14:40 17.07.18. Batch: 221379194. The amount of 1.5 USD has been deposited to your account. Accounts: U4178235->U133****. Memo: API Payment. Withdraw to SleduiZaMnoicom from solidtradebank… Date: 16:51 16.07.18. Batch: 221289910. Выплата: The amount of 1.5 USD has been deposited to your account. Accounts: U4178235->U981****. Memo: API Payment. Withdraw to investingnp from solidtradebank com.. Date: 03:35 14.07.18. Batch: 221072339. The amount of 1.5 USD has been deposited to your account. Accounts: U4178235->U1339252. Memo: API Payment. Withdraw to SleduiZaMnoicom from solidtradebank…. Date: 03:35 14.07.18. Batch: 221072244. The amount of 1.5 USD has been deposited to your account. Accounts: U4178235->U133****. Memo: API Payment. Withdraw to SleduiZaMnoicom from solidtradebank.com.. Date: 02:57 13.07.18. Batch: 220978105. The amount of 1.5 USD has been deposited to your account. Accounts: U4178235->U133****. Memo: API Payment. Withdraw to SleduiZaMnoicom from solidtradebank.com.. Date: 02:56 13.07.18. Batch: 220977997. Выплата: The amount of 1 USD has been deposited to your account. Accounts: U4178235->U981****. Memo: API Payment. Withdraw to investingnp from solidtradebank com.. Date: 13:12 11.07.18. Batch: 220821691. The amount of 1.5 USD has been deposited to your account. Accounts: U4178235->U1339**** Memo: API Payment. Withdraw to SleduiZaMnoicom from solidtradebank… Date: 13:11 11.07.18. Batch: 220821627. The amount of 1.5 USD has been deposited to your account. Accounts: U4178235->U133****. Memo: API Payment. Withdraw to SleduiZaMnoicom from solidtradebank… Date: 13:07 10.07.18. Batch: 220718411. The amount of 1.5 USD has been deposited to your account. Accounts: U4178235->U133****. Memo: API Payment. Withdraw to SleduiZaMnoicom from solidtradebank.com.. Date: 14:25 06.07.18. Batch: 220349737. Выплата: The amount of 1 USD has been deposited to your account. Accounts: U4178235->U981****. Memo: API Payment. Withdraw to investingnp from solidtradebank com.. Date: 14:25 06.07.18. Batch: 220349729. The amount of 1.5 USD has been deposited to your account. Accounts: U4178235->U133****. Memo: API Payment. Withdraw to SleduiZaMnoicom from solidtradebank… Date: 13:17 05.07.18. Batch: 220223416. Выплата: The amount of 1 USD has been deposited to your account. Accounts: U4178235->U981****. Memo: API Payment. Withdraw from solidtradebank com.. Date: 11:15 04.07.18. Batch: 220099285.. The amount of 1.5 USD has been deposited to your account. Accounts: U4178235->U133**** Memo: API Payment. Withdraw to SleduiZaMnoicom from solidtradebank… Date: 11:14 04.07.18. Batch: 220099174. The amount of 1.5 USD has been deposited to your account. Accounts: U4178235->U1339252. Memo: API Payment. Withdraw to SleduiZaMnoicom from solidtradebank… Date: 17:47 03.07.18. Batch: 220035482. The amount of 1.5 USD has been deposited to your account. Accounts: U4178235->U1339252. Memo: API Payment. Withdraw to SleduiZaMnoicom from solidtradebank… Date: 17:23 03.07.18. Batch: 220032952. Выплата: The amount of 1 USD has been deposited to your account. Accounts: U4178235->U981****. Memo: API Payment. Withdraw from solidtradebank com.. Date: 13:31 01.07.18. Batch: 219810229. 50.5 USD has been deposited to your account. Accounts: U4178235->U5658888. Date: 09:01 29.06.18. Batch: 219302445. The amount of 1.5 USD has been deposited to your account. Accounts: U4178235->U133****. Memo: API Payment. Withdraw to SleduiZaMnoicom from solidtradebank.. Date: 09:02 29.06.18. Batch: 219302592. Выплата: The amount of 1 USD has been deposited to your account. Accounts: U4178235->U981****. Memo: API Payment. Withdraw from solidtradebank.com.. Date: 09:03 29.06.18. Batch: 219302797. Выплата: The amount of 1 USD has been deposited to your account. Accounts: U4178235->U981****. Memo: API Payment. Withdraw from solidtradebank com.. Date: 04:23 27.06.18. Batch: 219090889. The amount of 300 USD has been withdrawn from your account. Accounts: U133****->U4178235. Memo: Shopping Cart Payment. Deposit to solidtradebank. User SleduiZaMnoicom.. Date: 08:22 27.06.18. Batch: 219105419. The amount of 101 USD has been deposited to your account. Accounts: U4178235->U133****. Memo: API Payment. Withdraw to SleduiZaMnoicom from solidtradebank.. Date: 08:14 27.06.18. Batch: 219104859. The amount of 1 USD has been deposited to your account. Accounts: U4178235->U133****. Memo: API Payment. Withdraw to SleduiZaMnoicom from solidtradebank… Date: 00:50 23.06.18. Batch: 218721921. Выплата: The amount of 1 USD has been deposited to your account. Accounts: U4178235->U981****. Memo: API Payment. Withdraw from solidtradebank com.. Date: 03:10 21.06.18. Batch: 218535726. The amount of 1 USD has been deposited to your account. Accounts: U4178235->U133****. Memo: API Payment. Withdraw to SleduiZaMnoicom from solidtradebank… Date: 23:34 21.06.18. Batch: 218622892. Date: 02:55 21.06.18. Batch: 218535139. The amount of 1 USD has been deposited to your account. Accounts: U4178235->U133****. Memo: API Payment. Withdraw to SleduiZaMnoicom from solidtradebank… Date: 20:55 19.06.18. Batch: 218419014. Выплата: The amount of 1 USD has been deposited to your account. Accounts: U4178235->U981****. Memo: API Payment. Withdraw from solidtradebank.com.. Date: 17:32 16.06.18. Batch: 218149937. Выплата: The amount of 1 USD has been deposited to your account. Accounts: U4178235->U981****. Memo: API Payment. Withdraw from solidtradebank com.. Date: 21:47 14.06.18. Batch: 218004538. The amount of 1 USD has been deposited to your account. Accounts: U4178235->U133****. Memo: API Payment. Withdraw to SleduiZaMnoicom from solidtradebank… Date: 21:45 14.06.18. Batch: 218004307. The amount of 1 USD has been deposited to your account. Accounts: U4178235->U133****. Memo: API Payment. Withdraw to SleduiZaMnoicom from solidtradebank… Date: 23:40 12.06.18. Batch: 217812622. Выплата: The amount of 1 USD has been deposited to your account. Accounts: U4178235->U981****. Memo: API Payment. Withdraw from solidtradebank com.. Date: 19:53 11.06.18. Batch: 217701211. Выплата: The amount of 1 USD has been deposited to your account. Accounts: U4178235->U981****. Memo: API Payment. Withdraw from solidtradebank com.. Date: 00:43 09.06.18. Batch: 217448821. Date: 00:32 09.06.18. Batch: 217448185. The amount of 1.12 USD has been deposited to your account. Accounts: U4178235->U133****. Memo: API Payment. Withdraw to SleduiZaMnoicom from solidtradebank… Date: 19:27 09.06.18. Batch: 217522499. Выплата: The amount of 1 USD has been deposited to your account. Accounts: U4178235->U981****. Memo: API Payment. Withdraw from solidtradebank com.. Date: 19:56 06.06.18. Batch: 217231886. Выплата: The amount of 1 USD has been deposited to your account. Accounts: U4178235->U981****. Memo: API Payment. Withdraw from solidtradebank com.. Date: 23:46 01.06.18. Batch: 216787660. The amount of 1 USD has been deposited to your account. Accounts: U4178235->U133****. Memo: API Payment. Withdraw to SleduiZaMnoicom from solidtradebank… Date: 22:49 02.06.18. Batch: 216869510. The amount of 1 USD has been deposited to your account. Accounts: U4178235->U133****. Memo: API Payment. Withdraw to SleduiZaMnoicom from solidtradebank… Date: 20:19 31.05.18. Batch: 216367304. Выплата: The amount of 1 USD has been deposited to your account. Accounts: U4178235->U981****. Memo: API Payment. Withdraw from solidtradebank com.. Date: 20:19 31.05.18. Batch: 216367306. Выплата: The amount of 1 USD has been deposited to your account. Accounts: U4178235->U981****. Memo: API Payment. Withdraw from solidtradebank.com.. Date: 19:12 29.05.18. Batch: 216154543. Date: 15:14 28.05.18. Batch: 216030060. The amount of 1 USD has been deposited to your account. Accounts: U4178235->U133****. Memo: API Payment. Withdraw to SleduiZaMnoicom from solidtradebank.com.. Date: 19:12 29.05.18. Batch: 216154442. Выплата: The amount of 1 USD has been deposited to your account. Accounts: U4178235->U981****. Memo: API Payment. Withdraw from solidtradebank com.. Date: 22:57 24.05.18. Batch: 215713937. The amount of 1 USD has been deposited to your account. Accounts: U4178235->U133****. Memo: API Payment. Withdraw to SleduiZaMnoicom from solidtradebank.com.. Date: 19:39 25.05.18. Batch: 215796073. The amount of 1 USD has been deposited to your account. Accounts: U4178235->U133****. Memo: API Payment. Withdraw to SleduiZaMnoicom from solidtradebank… Date: 21:51 23.05.18. Batch: 215608085. Выплата: The amount of 1 USD has been deposited to your account. Accounts: U4178235->U981****. Memo: API Payment. Withdraw to investingnp from solidtradebank com.. Date: 20:17 22.05.18. Batch: 215489846. Выплата: The amount of 1 USD has been deposited to your account. Accounts: U4178235->U981****. Memo: API Payment. Withdraw from solidtradebank com.. Date: 15:30 19.05.18. Batch: 215189624. The amount of 1.19 USD has been deposited to your account. Accounts: U4178235->U133****. Memo: API Payment. Withdraw to SleduiZaMnoicom from solidtradebank… Date: 15:30 19.05.18. Batch: 215189602. The amount of 1 USD has been deposited to your account. Accounts: U4178235->U133****. Memo: API Payment. Withdraw to SleduiZaMnoicom from solidtradebank.com.. Date: 11:52 17.05.18. Batch: 214986366. Date: 21:03 15.05.18. Batch: 214824985. The amount of 1 USD has been deposited to your account. Accounts: U4178235->U133****. Memo: API Payment. Withdraw to SleduiZaMnoicom from solidtradebank.com.. Date: 11:08 12.05.18. Batch: 214469147. The amount of 1 USD has been deposited to your account. Accounts: U4178235->U133****. Memo: API Payment. Withdraw to SleduiZaMnoicom from solidtradebank… Date: 18:15 10.05.18. Batch: 214319730. The amount of 1 USD has been deposited to your account. Accounts: U4178235->U133**** Memo: API Payment. Withdraw to SleduiZaMnoicom from solidtradebank… Date: 09:50 09.05.18. Batch: 214177058. The amount of 1 USD has been deposited to your account. Accounts: U4178235->U133**** Memo: API Payment. Withdraw to SleduiZaMnoicom from solidtradebank.com.. Date: 14:20 08.05.18. Batch: 214097097. 1 USD. Accounts: U4178235->U5688888. Date: 01:49 04.05.18. Batch: 213655753. The amount of 1 USD has been deposited to your account. Accounts: U4178235->U133****. Memo: API Payment. Withdraw to SleduiZaMnoicom from solidtradebank.com.. Date: 05:59 05.05.18. Batch: 213760671. The amount of 1 USD has been deposited to your account. Accounts: U4178235->U133****. Memo: API Payment. Withdraw to SleduiZaMnoicom from solidtradebank… Date: 01:49 04.05.18. Batch: 213655721. The amount of 1 USD has been deposited to your account. Accounts: U4178235->U133****. Memo: API Payment. Withdraw to SleduiZaMnoicom from solidtradebank… Date: 01:26 03.05.18. Batch: 213555267. The amount of 1 USD has been deposited to your account. Accounts: U4178235->U133*****. Memo: API Payment. Withdraw to SleduiZaMnoicom from solidtradebank… Date: 21:29 01.05.18. Batch: 213444901. The amount of 1.12 USD has been deposited to your account. Accounts: U4178235->U133**** Memo: API Payment. Withdraw to SleduiZaMnoicom from solidtradebank… Date: 23:00 30.04.18. Batch: 213043916. The amount of 1 USD has been deposited to your account. Accounts: U4178235->U133****. Memo: API Payment. Withdraw to SleduiZaMnoicom from solidtradebank.com.. Date: 21:39 28.04.18. Batch: 212873876. 50 USD. Accounts: U5688888->U4178235. Date: 22:25 27.04.18. Batch: 212790553. The amount of 1 USD has been deposited to your account. Accounts: U4178235->U133**** Memo: API Payment. Withdraw to SleduiZaMnoicom from solidtradebank… Date: 22:56 26.04.18. Batch: 212693976.